card text: [+1]: Untap target land you control. Until your next turn, it becomes a 5/5 Elemental creature with haste. It's still a land. 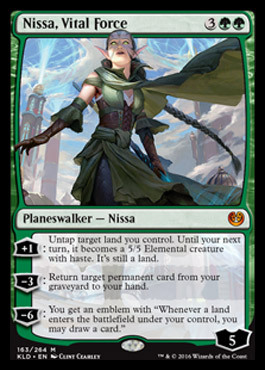 [-6]: You get an emblem with "Whenever a land enters the battlefield under your control, you may draw a card."